How a quartet of leaders is transforming Pflugerville into an economic juggernaut. A booming suburb of 65,000 people on the northeast side of Austin, Pflugerville is ascending to new heights thanks to the visionary leadership of four women: City Manager Sereniah Breland, Police Chief Jessica Robledo, Chamber President & CEO Shontel Mays, and Pflugerville Community Development Corp. Executive Director Amy Madison. It's one thing for a community to pay lip service to diversity and inclusion; in this Central Texas community in Travis County, they're embracing it with open arms and showing what a town can do when everyone pulls together. "This is the only town in Texas where you'll find four women in the top leadership position in these jobs," says Madison, "and we all work together for the common good. The synergy created by this new guard is amazing, and I believe that our collaboration is just getting started." While these women have only recently taken the helm in Pflugerville, the economic development payoff can be seen all over the community. 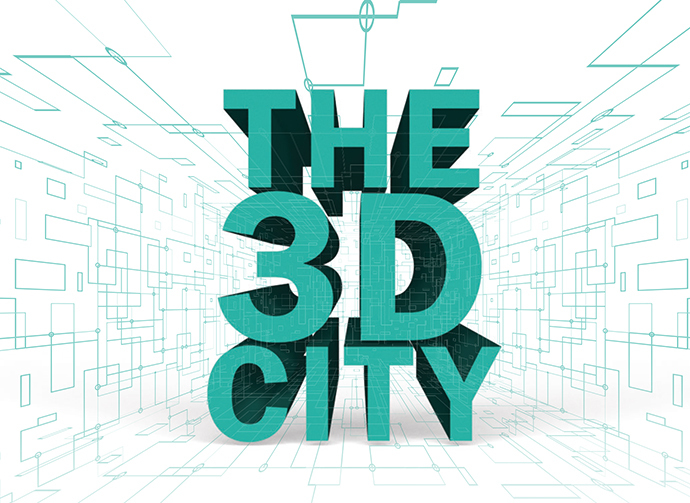 Additive printing manufacturers like Essentium are choosing to invest heavily in Pflugerville, helping the town earn the nickname of "The 3D City." Just three months ago, Essentium announced plans to invest at least $1.5 million and create 170 new jobs when it relocates its headquarters and manufacturing operations from College Station. Essentium joins other 3D printers to form a rapidly growing cluster of advanced and additive manufacturers in Pflugerville. This economic growth is just one reason why Pflugerville ranked as the third-fastest-growing city in the nation last year, according to the U.S. Census Bureau. Money magazine also named Pflugerville the 12th Best Place to Live in America. On average, about 11 people move into Pflugerville each day.  The city's transformation began when State Highways 45 and 130 were completed and put the town on the map. "It opened up the world to Pflugerville," said Madison. 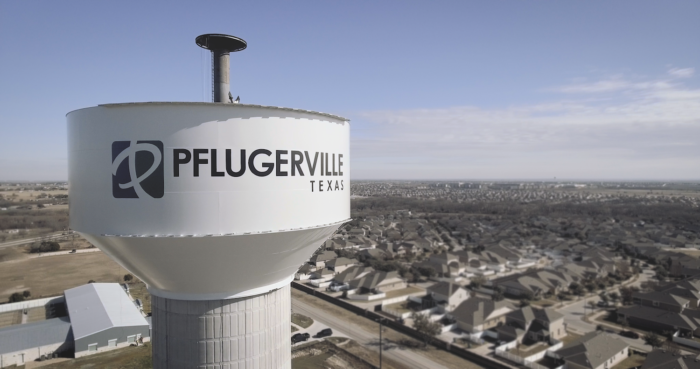 Besides having the assets businesses covet — access to major highways and four airports; superior K-12 educational system; low taxes; and a workforce in which two-thirds of adults have a college degree or some college education — Pflugerville goes out of its way to make business expansion easy. "From an organizational standpoint, we encourage team decision-making that brings all levels of the community together," says Breland, who has served as city manager of four cities in her career. 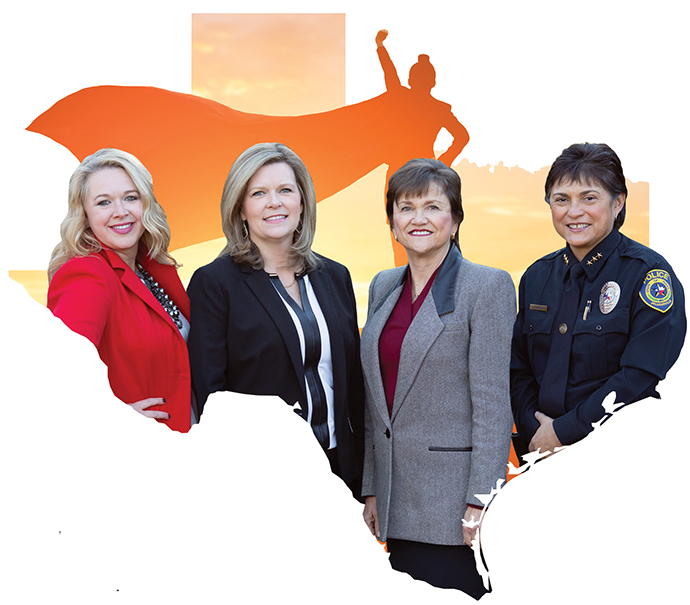 "We are the only city in Texas to have a city manager and a police chief who are women, and we extend that spirit of diversity and inclusion to everyone in this community." Mays, who runs the Pflugerville Chamber of Commerce, concurs, noting that "by having four strong women in this community's top leadership roles, we're not just saying that we promote diversity; we're living it. We know the difference between being invited to have a seat at the table to just fill a spot and actually being trusted to lead. That happens here." She wants new and existing businesses to know that "Pflugerville has developed a true partnership and spirit of collaboration between the city, the chamber and the CDC. We're always looking for ways to benefit the entire community. By working together, we're building a stronger business community too." Police Chief Robledo says her own success has motivated her to help others in the community — particularly those who represent minority groups — succeed. "Each time I was promoted throughout my career, there was always someone who took me under their wing and mentored me to ensure my success. There isn't just one person I can name. I had a village of officers who supported me, and for that I am grateful. No matter the position or industry, we need to teach our employees to think globally and lead with their hearts." And the city's not done growing yet. Pflugerville recently approved up to $45 million in tax reimbursement for the Pecan District, a mixed-use development that upon buildout in 2028 could have 1,150 residential units, 998,000 square feet of office space, and 228,000 square feet of retail and restaurants. "Our culture has always been diverse, collaborative and friendly. We work hard to keep it that way," says Madison. "It takes strong leaders on our council and community boards to manage the kind of growth we're having in Pflugerville, but we are up to the challenge." This Investment Profile was prepared under the auspices of the Pflugerville Community Development Corp. For more information, contact Amy Madison at 512-990-3725 or amym@pfdevelopment.com. On the web, go to www.pfdevelopment.com.